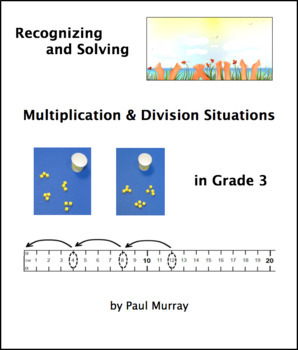 This is a variety of basic activities to help students understand multiplication, division, and the relationship between them. For models of multiplication they use equal groups, arrays, and equal groups arranged on a number line. 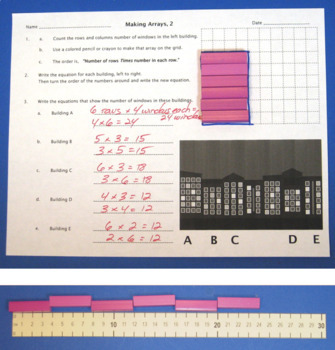 The option to use Cuisenaire Rods is included. There are illustrations of and situations including both partitive and measurement division. 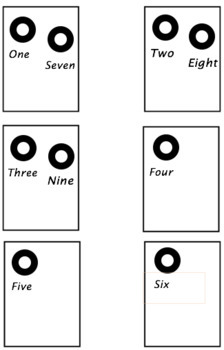 Students place and/or draw objects in a given number of equal groups (partitive division) and place and/or draw objects in groups of a known number to the total (measurement division). Fact families are applied to problems. We end by discussing and measuring/cutting paper to model division as repeated subtraction of equal groups. Detailed teaching notes and a Smartboard 14 file are also included. 3.OA.1: ”Interpret products of whole numbers..."
3.OA.2: ”Interpret whole-number quotients of whole numbers..."
3.OA.3: ”Use multiplication and division within 100 to solve word problems in situations involving equal groups, arrays, and measurement quantities..."
3.OA.7: ”Fluently multiply and divide within 100, using strategies such as the relationship between multiplication and division ..."
A Smart Notebook 14 file is also included.